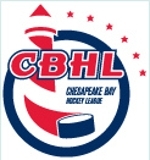 Entering the CCHL 18U Division 1 playoff tournament, NoVA Blue was saddled with high expectations after a 21-game undefeated regular season and its status as the defending champion. While such success is laudable, its insidious side-effect is festering over-confidence among the players. In its first game against host Victory Blue, NoVA Blue’s swagger was quickly tested. At the end of a tied first period, several NoVA Blue players remarked that Victory was the hardest skating team they had encountered all season, leaving NoVA Blue players with little time or space with the puck. Just as NoVA Blue appeared to hit its stride in the second period, an innocent-looking check on popular senior Matthew Rayder left him writhing in pain on the ice due to a gruesome fractured wrist. With the assistance of the Victory coaching staff, a serendipitous emergency-room physician by-stander, and a length of a broken hockey stick, the twisted limb was quickly splinted and Matthew was whisked away to the hospital. Recognizing that this turn of events could rattle even a grizzled veteran team, NoVA Blue’s senior co-captains, Ethan McClellan and Cooper Motzko, rallied the players, exhorting them to “win it for Matthew.” As if injected with Red Bull, NoVA Blue surged in the third period, ultimately prevailing 5-1. In its second game, NoVA Blue faced off against Howard Gray, the top-seeded team from the North Conference. Having played an exhibition game against each other the previous weekend, the teams were braced for a spirited rematch. At the end of one, the score was 0-0 and again, NoVA Blue’s confidence appeared to wilt in the face of adversity. Two Twitter-worthy goals by senior Logan Ehrlich, however, ignited the smoldering NoVA Blue scoring fires. Excellent shifts by NoVA Blue seniors James Rizzo and Reed Beggs, coupled with a complete shutdown by junior goalie Ely Constantine, helped NoVA Blue prevail 7-0. As long as it has been coached by the current geriatric coaching staff, NoVA Blue has not been known as a morning team and its first game on Sunday at 11:30 against Harford Red reaffirmed that truism. Meanwhile, Harford Red clearly heeded their coach’s advice to get a good night’s sleep and eat a healthy breakfast because they carved circles around NoVA Blue’s still-slumbering players. Once more into the breach stepped Logan Ehrlich, who sniped a goal at the beginning of the third period to give Blue some breathing room. At the end of the hard-fought battle, NoVA Blue prevailed 6-3. Thanks to a stingy defense led by senior Jack Grainger, NoVA Blue allowed the fewest goals against in the preliminaries and were awarded the first seed in the elimination round. This meant that NoVA Blue would confront Howard Gray for the third time in a week. While the team’s respective head coaches commiserated over the Ranger’s loss to the Capitals prior to the start of the game, the players shared no love on the ice. Juiced by the return of injured player Mike Oelschlager (who had been out for three weeks) and senior Jack Barbour (who had been at a Sunday morning appointment with Homeland Security! ), NoVA Blue rolled to a 9-0 victory over Howard despite some excellent play by the Howard goalies. In a match-up that NoVA Blue’s coaches were dreading, the championship game opponent turned out to be NoVA Red, which also was undefeated in the tournament. With accomplished goalie Jack Cline, and formidable senior defensemen Ryan Miles and Ricardo Kornegay, NoVA Red had an almost impenetrable wall against NoVA Blue’s offense. Almost. NoVA Blue pulled out to a 3-0 lead well into the third period. Just when it appeared that NoVA Blue had the outcome under control, NoVA Red scored two quick goals, causing considerable consternation on the NoVA Blue bench. Another snipe by Logan Ehrlich (who, some say, carried NoVA Blue on his back through the tournament), however, broke the tension and powered NoVA Blue to a 5-3 victory and back-to-back championships!